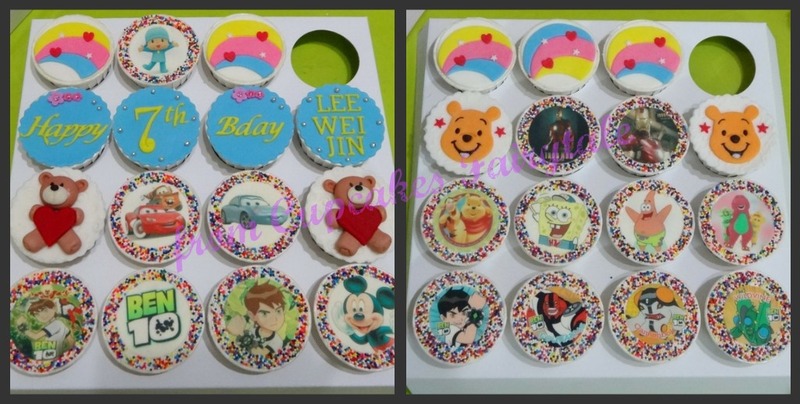 Rose Wong, a new customer introduced by Lilian to Cupcakes Fairytale ordered these "Mixed" characters of of boy's favourite cartoon characters for his nephew , residing in Kudat , for his 7th Birthday. She requested for 2 flavors _Chocolate and Vanilla Choc-chips for the 40 - 2.5" inches cupcakes. 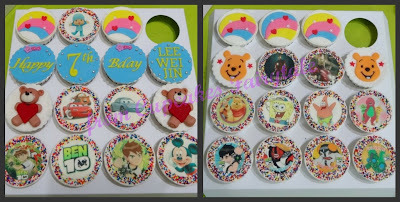 Hope "Lee Wei Jin" , the birthday boy will like these cupcakes ordered by his aunt for him.......from Cupcake Fairytale. Happy 7th Birthday , LEE WEI JIN!! !